Edmund Rice is honoured at Liston College because of the historical association of the Christian Brothers with our College. 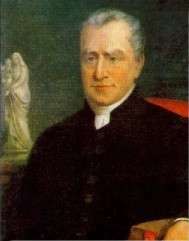 Edmund Rice founded the Christian Brothers in Ireland in the early 1800s. Early in his adult life Edmund Rice was a very successful businessman. However, after the tragic death of his wife, Edmund became more interested in serving the needs of the poor. After a long period of reflection he moved to an impoverished section of the Irish city of Waterford and set up a school. He died in 1844.